Vinokurov's team, including a number of volunteers, has been exploring Artezian since 1989 and has found that the people of the settlement followed a culture that was distinctly Greek. The population's ethnicity was mixed, Vinokurov wrote, "but their culture was pure Greek. They spoke Greek language, had Greek school; the architecture and fortification were Greek as well. They were Hellenes by culture but not that pure by blood." 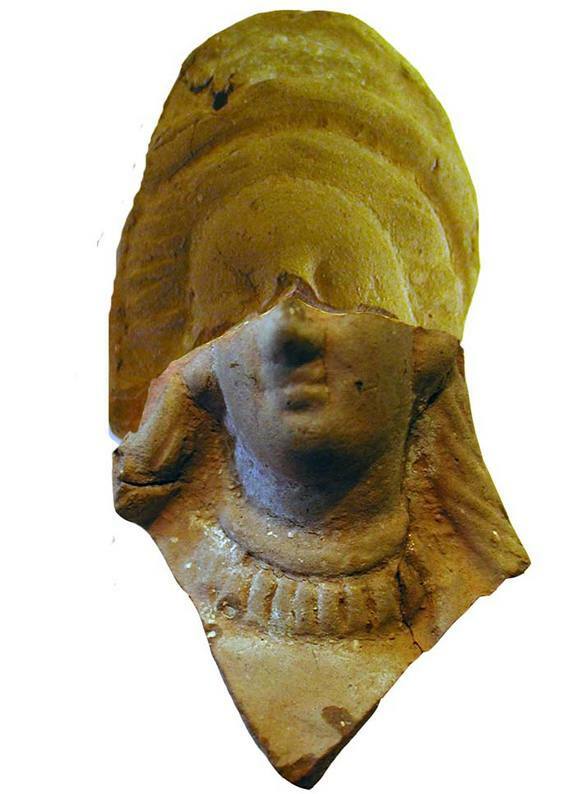 Researchers also found numerous terracotta figures at the citadel, including this depiction of Demeter, Greek goddess of the harvest. 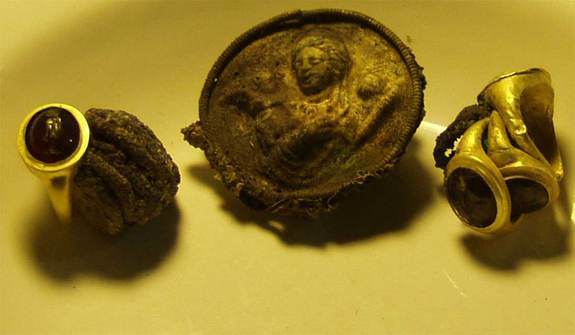 More treasures from the hoards: a silver brooch (left) depicting Aphrodite, goddess of love, alongside a pair of winged deities known as Erotes. "In the burnt level of the early citadel, many fragmentary small terra cotta figures were found depicting Demeter, Cora, Cybele, Aphrodite with a dolphin, Psyche and Eros, a maiden with gifts, Hermes, Attis, foot soldiers and warriors on horseback, semi-naked youths," the researchers wrote in their paper, adding fragments of a miniature oinochoai (a form of Greek pottery) and small jugs for libations also were found. These ancient decorated spindles were also found on site. The hoards were discovered beneath the torched citadel. In A.D. 45 the people of the town were trapped by the Roman army and knew they were likely going to die. Archaeologists believe the hoards may have been "funeral sacrifices" of sorts to prepare their owners for what was to come.